Good things come in small packages. Don't let its size fool you, it's big in satisfaction! And waterproof too, so you can pleasure yourself while you relax in the tub or while enjoying a hot shower. Let the smooth velvety touch of the controller soothe you while the multi-speed bullet sends out big powerful waves of ecstasy through every inch of your erogenous zone! 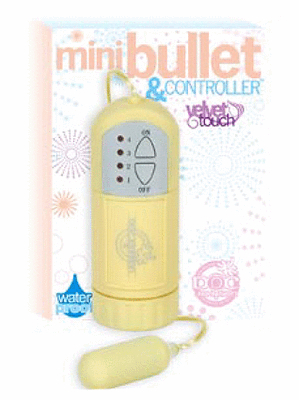 The Mini Bullet from Doc Johnson...big orgasms included with every package!